Inequality under the capitalist system has accelerated in recent years and sees the top 1% own more wealth than the 99%. Neoliberalism means privatisation and underfunding of public services which particularly affects women in areas of health, education, maternity leave and low pay. It’s in this context that across the world we are seeing a new generation of women and LGBTQ people challenging oppression and inequality through radical actions and movements. In Iceland, to protest against the gender pay gap, thousands of women left their workplace 2 hours and 22 minutes (30% of the day) early to illustrate that if they were men they would have made their wage by then. Together they gathered in public squares to demand “OUT” to sexism, mirroring the same action taken in 1974 where an incredible 90% of women in Iceland participated in a walkout. In Poland, an extremely right-wing government attempting to bring in a full abortion ban, provoked a grassroots movement to oppose it. This inspiring new movement was fuelled by an anger so intense, it called not just for a typical protest, but for women to go on strike! On 3 October, tens of thousands of women demonstrated across the country. 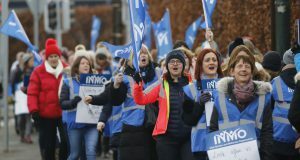 There was a clear rallying call: any move to push back women, to strip away our rights cannot be negotiated or compromised with, it must be shut down in the most complete way by the most powerful method we know – to withdraw our labour. It knocked the conservatives in power back in their plans. 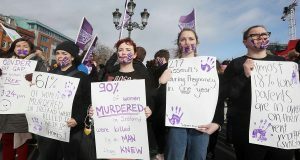 The protests also connected with broad layers of the Polish working class who saw the truth in such a genuine movement with more people in Poland identifying pro-choice than before the protests happened. 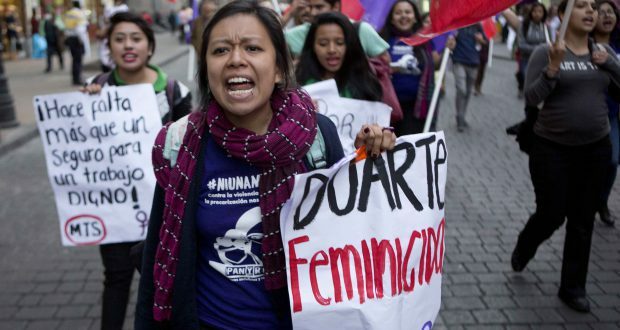 In Latin America too, an explosive movement of women from below has knocked back the state. Thousands of women are killed by men every year in Latin America in acts of ‘revenge’ and hate, usually by ex-male partners or men in her family. In Brazil alone, 15 women a day are killed by men. This misogyny is perpetuated by the state; by the politicians and judicial system – very few murderers appear in court and are usually handed light sentences. In 2015, the President of Argentina, Mauricio Macri, boasted in a radio interview about how women “deep down” enjoy lewd comments being directed at them in the street. “I don’t believe those who say they don’t”, he said. One year later, a teenage girl was gang raped by 33 men in Rio de Janeiro, Brazil. Dismissed and ridiculed by the police when she reported it, her abuse was filmed and posted on social media. In response, huge mobilisations of women occurred, with over 200,000 people in Argentina alone took to the streets against machismo. The enormous movement has pushed 15 countries in Latin America to pass harsher criminal sentences for femicide. 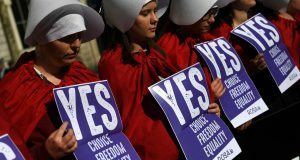 But it is also a call for an improvement for women’s lives in Latin America – that is abortion rights, equal pay, contraception and an end to trafficking. The repeal movement in Ireland is part of this process. A global solidarity day has been called for on social media for 25 November, by women activists in Latin America and Poland under the slogan, “Solidarity is our weapon”, in an important development that should be built upon.